Aubrey was born in June of 1989 and we were advised the day after her birth that she is/was microcephalic. When she was discharged and we brought her home, we had no idea how this would affect our lives. There are days when we still don't know how our lives are affected. As Aubrey advances through life, she has repeatedly demonstrated she is not interested in remaining at home watching TV and idly passing time away. This was the first airshow I attended outside of Illinois other than working the Osh Kosh Air Show during the 1990's. 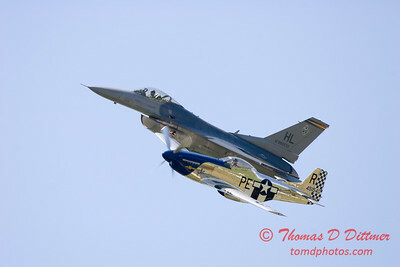 We attended the Langley Air Show, I captured numerous images, and Aubrey was at home. It wasn't until the 2007 season that Aubrey began traveling with me to airshows regularly. Aubrey doesn't like to be left out. Why should I leave her behind? While waiting for breakfast at the 2008 Quad City Airshow, on Sunday morning before the days events were to begin, I knew we in need of a method of travel to allow us to be "in the wind". Aubrey enjoys her freedom and can be difficult if kept in one place too long. Even in Winter! This is how I came to know our ability to continue to travel would require adaptation. After attending the 2008 Quad City Airshow, I realized a motor home would allow us to enjoy our lives in a manner which we both appreciate. I retired from my career job in March of 2010 and became Aubrey's primary caregiver and entertainment director in 2012 after retiring from my school bus driving job. 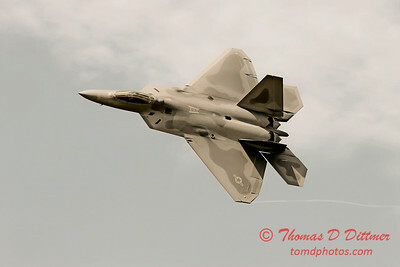 I began the pursuit of an aviation and event photography career in earnest. This pursuit frequently involves travel. I cannot leave Aubrey behind. I truly believe she would be heartbroken. She enjoys travel as much, if not more than I do, and not including her might be considered cruel. Aubrey is always ready to go on adventure and is open to almost any type of experience. Occasionally our travel budget becomes depleted due to circumstances beyond our control. When our budget is unable to support our travel, we remain at home while funding can be added. Those days can be difficult and a struggle to keep Aubrey engaged and stimulated. The summer of 2017, after traveling from Western Missouri, we arrived at home exhausted. We were not able to attend an event we were planning because we were tired. (at least I was). The next day, I purchased a 4 person dome tent and prepared for our next weekend trip to Youngstown Ohio. After traveling all day, we arrived and conducted our planned weekend activities. I goofed and forgot to reserve a camp site for a third night, so we ended up driving all night to get home again. We arrived at home and I took her inside the house from the car, and gave her a bath. Her bath completed, she was dressed and ate breakfast. After breakfast, she wanted to lead me to the car and head out again! Travel with Aubrey presents challenges you might not even think about in your daily life. Her disabilities require assistance for the daily life functions you and I take for granted. Walking, talking, eating, using the restroom, getting dressed and on and on. Almost every life function for Aubrey requires some type of assistance. We have adapted and she seems happy. She is NOT a couch potato! Because Aubrey doesn't like to sit idle, we travel as much as our budget will allow. Our ultimate goal is to acquire a motor home and travel as much as possible!